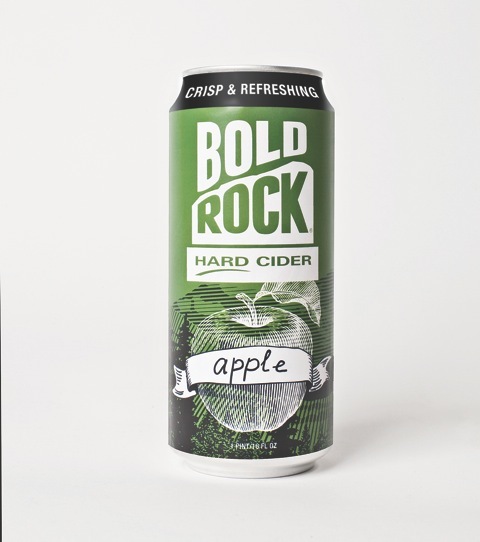 Bold Rock Hard Cider has announced the launch of its first-ever craft cider in cans. The popular Bold Rock Apple is being released in singles and packs of four 16-ounce cans. The new cans are just right for cider lovers to bring to locations where glass is discouraged or prohibited, including beaches, golf courses and festivals. All Bold Rock Ciders are made with fresh locally sourced apples, picked at scenic orchards in the Blue Ridge Mountains of Central Virginia and Western North Carolina. Bold Rock Apple has crisp and refreshing character, delivering the fresh taste of green Granny Smith Apples. It’s one of five styles now being made by one of the fastest-growing craft cider companies in the country. Opened in 2012, Bold Rock formed out of the partnership between John Washburn and Brian Shanks. Washburn has long owned the picturesque Virginia farmland where the cidery is now headquartered in Nelson County. He contacted Shanks to see if the New Zealand native and world-renowned cider expert would be interested in working his magic with locally picked apples from nearby century-old orchards. In the short time since, these two fast friends have put together a rapidly growing operation, using state-of-the art equipment that is run by a hard-working staff of 32 local Virginia employees to produce delicious craft cider. In June, Bold Rock will open a second production facility in Mills River, N.C., crafting cider with apples picked from nearby orchards in the mountains of western North Carolina. The new 16-ounce cans are available now wherever Bold Rock is distributed, now found throughout the East Coast from Pennsylvania through South Carolina. Bold Rock Hard Cider is one of the fastest-growing craft cider companies in the country. A winner of more than 30 awards in the past two years, Bold Rock produces five hard ciders, all made from apples locally grown and handpicked in the Blue Ridge Mountains of Virginia and North Carolina. As the nation’s largest independently owned cider company, Bold Rock is quickly ramping up distribution throughout the East Coast, now delivering across the Mid-Atlantic and Southeast from Pennsylvania through South Carolina. Additional company information can be found at www.boldrock.com. More Progress At Bold Rock Hard Cider – Tanks Arrive! About BlueRidgeLife: View author profile.